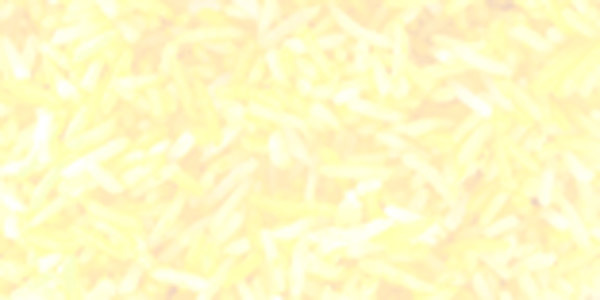 Chicken Biryani: An exquisite festive treat of fragrant Basmati rice and tender chicken breast cooked in a sauce containing a vast array of aromatic, zesty spices and exotic dried fruits. Biryani is the most famous Mughal rice meal in the world. Chicken Makhani Rice: Fragrant Basmati rice and tender chicken breast with zesty, aromatic spice blends, vegetables and dried fruits. Chicken Makhani Rice is a unique creamy fusion of Mughal and Western cuisine. Vegetable Biryani: A blend of fragrant Basmati rice and diced vegetables seasoned with spices, herbs and a touch of saffron. Vegetable Biryani is a classic vegetarian treat and a healthy replacement for pasta or French fries. 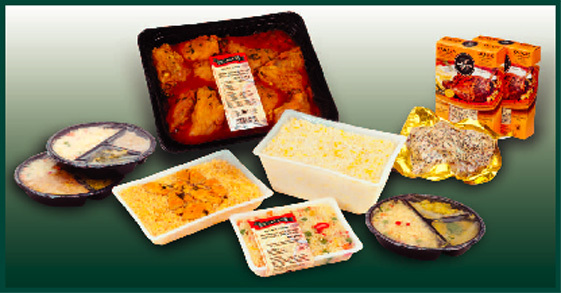 These three products can be sold chilled in microwaveable plastic flat containers, each having a net weight of 325g (approximately 11.4 oz ). The re-heating time is 2 to 3 minutes in the microwave and approximately 10 minutes in boiling water. Unique, rich and refined culinary taste, texture and fragrance leading to HMRs superior to those found in most restaurants and food service establishments. Highest standards of hygiene, unparalleled in restaurants or food service establishments. Excellent nutritional value. No additives or preservatives are used. All ingredients are natural. Strict control of fat content, humidity level, spice level, and flavour profile. Confirmed shelf life for freshness of up to 21 days when packed under modified atmospheric conditions, and 90 days when pasteurized, provided the HMR's are kept at 0 - 4 °C. For frozen products the shelf life is 1 year.